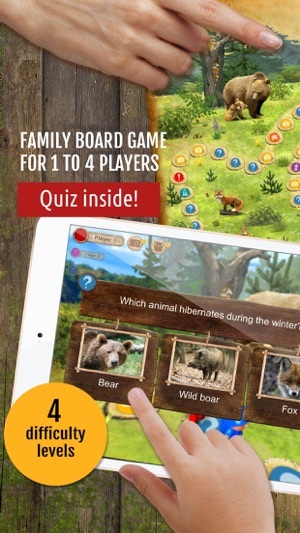 Bring family, friends and classmates together with Forest Quest pass-and-play board game! In this child-friendly multiplayer board game you will get to know the inhabitants of the forest and have amazing adventures! You might meet a bear, hide from rain showers, repair a deer feeder, hunt down a fox and much more! However, only the first player to collect all 7 animal photos or 10 nuts​ and reach the finish will win! 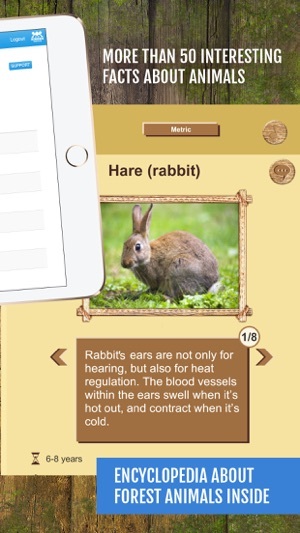 On top of providing hours of fun, Forest Quest offers real educational value with an encyclopedia ​along with​over 350 questions and answers about the forest and the animals that live there. 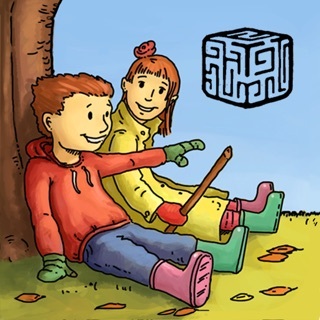 This game is easy enough for young children and equally challenging and enjoyable for adults. 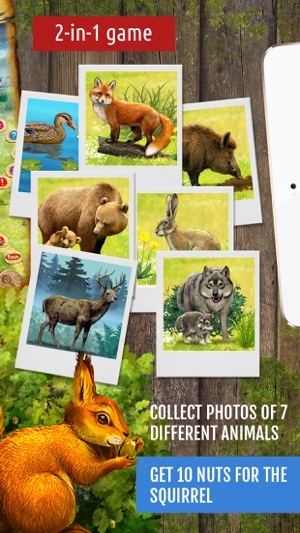 +++EXPLORER- take photos of 7 animals and be the first to reach the finish line. While answering questions, earn bonuses to help overcome the course’s obstacles! +++RESCUER – collect 10 nuts and be the first to bring them to the finish line. 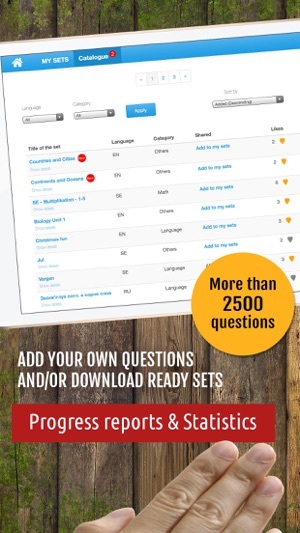 Earn nuts by answering questions; keep or use the nuts to overcome difficulties! ● MULTIPLAYER mode – Option to play with 2 to 4 players or with 1 player against the computer. ● Beautiful illustrations and amazing pop-up visual effects that bring the scenes to life! ● Engaging game play- earn bonuses and sometimes lose them, get presents and complete the tasks to reach the finish line faster! ● Suitable for ALL AGES - appropriate for kids as young as 4, but is equally challenging for adults. ● Individual player settings – select the difficulty level for questions and each player’s figurine. 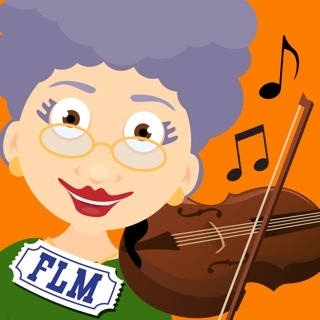 ● Perfect for playing at a party, as a family, and in the classroom! ● Helps you explore the life of forest inhabitants and answer any question within the game. ● Complete tasks in the games to earn badges and levels. ● Compete with your family and friends to see who will be the first to become the Master of Forest! Hours of family fun with real educational value! We take the privacy of your children and safety concerns serious. - Does not include 3rd party ads, or in-app purchases. - Includes links, which are locked from kids, to the company website and other apps developed by our company. - Uses analytics to collect anonymized user data for general information about how people use this app. We Discover Wildlife: Forest Quest is a beautifully designed, 3-D board game that teaches fun facts about forest animals! Perfect for family game time or small group time at school, Forest Quest will help sharpen your knowledge about forest animals. Easy to play and learn, this imaginative and colorful game will delight your children! Forest Quest is designed for 1, 2, 3, or 4 players. You can play against a real person or play against the computer. There are three difficulty levels to choose from. To play, users select a male or female playing piece ( or a computer screen if playing against the computer), and a color for their player. Game play begins with the roll of a die. 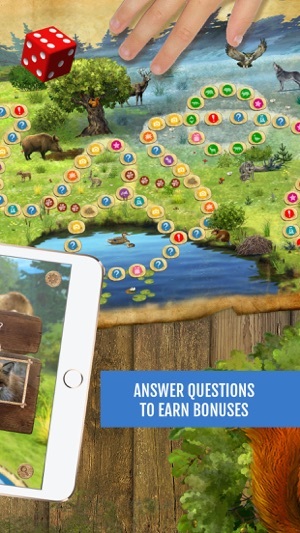 Players move along the colorful forest themed gameboard answering interesting questions about forest animals, and collecting bonus items to help along the way. Bonus items to collect to help during game play include items such as a compass, berries, hammer and nails, carrots, boots, axe or insect repellant. Questions are written on the game screen. Users are given three possible answer choices. Pick the correct answer to advance your player. 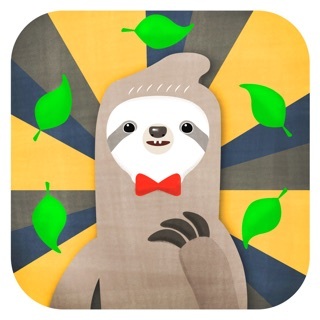 Collect snapshots of seven different animals and rush to the finish line! Lots of fun for home or school! Loaded with lots of fun animal facts! Recommended! A cute board game (we don't have to clean)where everyone in our family (3 and 6 yr old, mom and dad) has fun playing together. Lots of reading, so adults needed if yours aren't reading well yet. (Audio feature would be awesome). Learn about animals as you go (even mom and dad will learn a few things).